2D textures wrap around 3D objects to create more realistic surfaces in professional applications or skin and clothing for CG characters in games or movies. 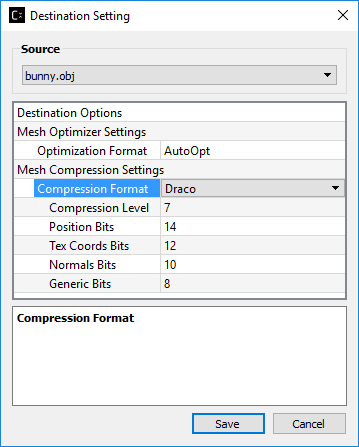 Compressonator allows users to choose from all major compression formats for their texture files and supports DirectX® 12, Vulkan® and OpenGL®. 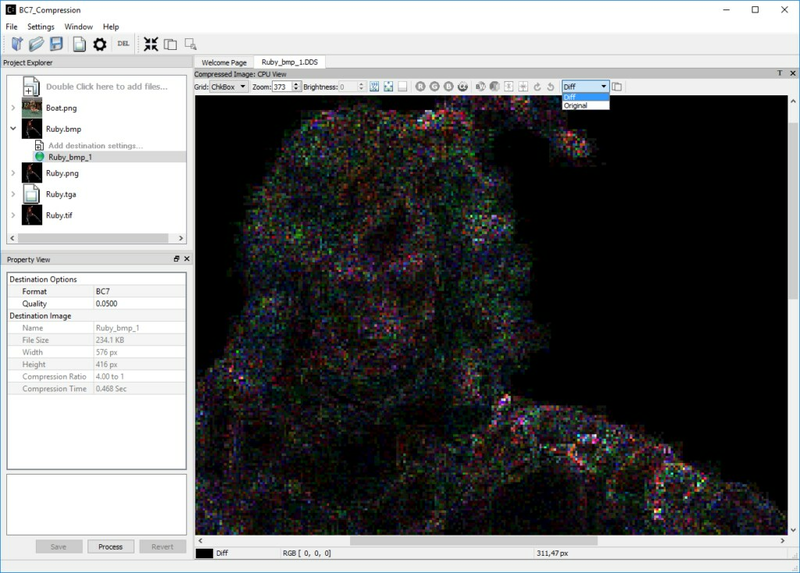 A new visual Image Diff option in the texture viewer allows you to compare overlaid views of the original and compressed textures and see a data visualization of any loss of detail upon compression (e.g. pixel difference) at any viewing scale. Most often model files such as OBJ or GLTF contain highly detailed vertices to create higher fidelity 3D objects. The optimizer simplifies these meshes by essentially removing unnecessary vertices that would be virtually undetectable even at 4K resolutions and streamlines them for fast GPU processing. 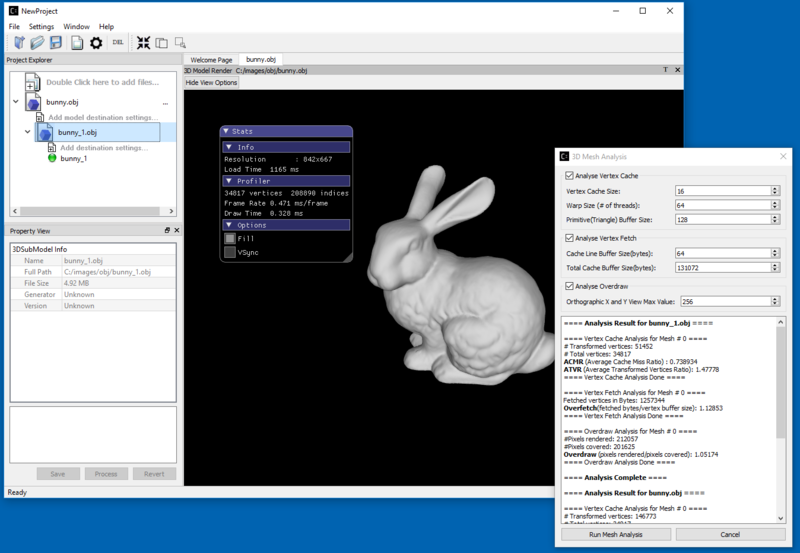 Users can view OBJ files in OpenGL and GLTF with DirectX 12. (Our next update will support viewing GLTF 2.0 files using a choice of OpenGL, Vulkan or DirectX 12). The 3D files can then be further compressed to reduce physical model file sizes with high compression rates, improving rendering time for complex 3D objects. Expanded support of the popular mobile-based ETC format. You can download Compressonator 3.0 from our Github here. Be sure to let us know what kinds of projects you’re using it for and what we can do to improve the experience. Dan Flatt leads developer marketing at AMD for the GPUOpen initiative. Links to third party sites are provided for convenience and unless explicitly stated, AMD is not responsible for the contents of such linked sites and no endorsement is implied.